Edit 03 Aug 2016: With the July 2016 release you can now run your R-scripts directly in the query-editor (so no row-limit any more!). No need to go via the visuals. But this will limit you to export datasets from the query-editor, so no DAX. Edit 22 Jan 2016: Currently this method is limited to 150k rows! It will drop all others without warning! With the December release, Microsoft enabled Power BI’s content to be fetched from the R-feature. So instead of plotting this data to the screen, could we just export it to a file? 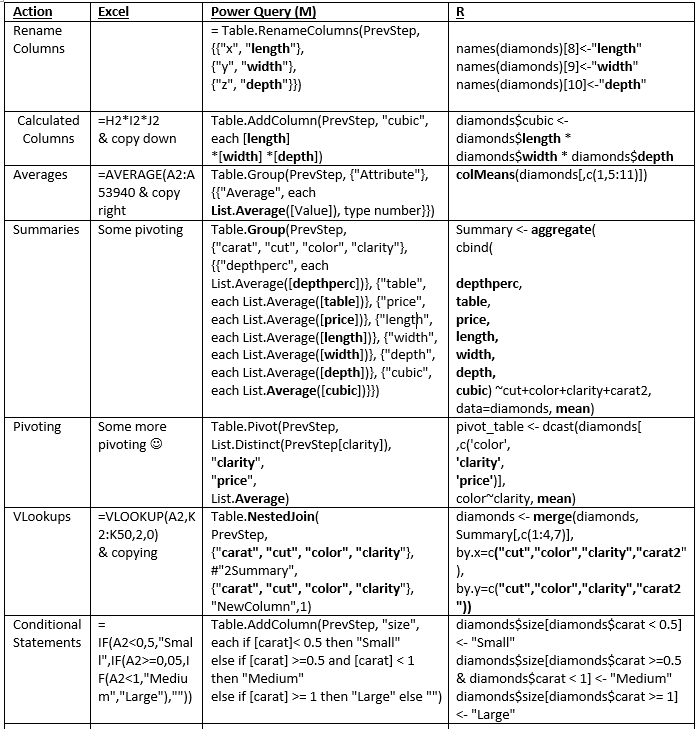 write.table has a lot of options, which are explained here. I’ve only used a few here: Exactly defining the location where the output-file shall be stored (file=), setting tab as delimiter (sep=”\t”) and skipping row names, which would be an index in our example here. NEW: You find a function for this export here: https://github.com/ImkeF/M/blob/master/LibraryR/Table.ExportToCsv.pq , it swaps the slashed automatically. Reading Jen Stirrup’s great article about the learning path for SQL Server 2016 and R I ended up learning my first R pieces from this wonderful post that she has referenced. 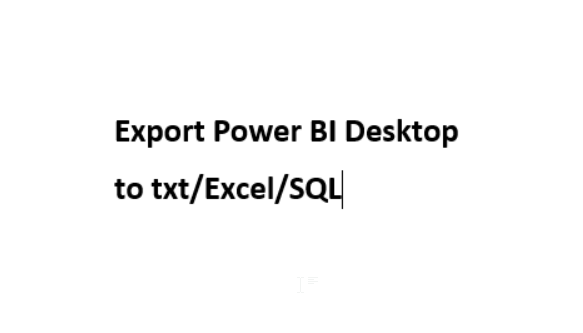 There Tony Ojeda beautifully describes how basic Excel-concepts are translated into R.
Well – I cannot speak of so much personal experience here – but these R-codes came easy as nothing before to me. Apart from Tony’s first class didactics, could this be due to what I’ve learned in Power Query over the last year? Do you find the similarities as striking as I do?